How to fix Ice Maker? With summer on its way, you might be thinking all about those outdoor parties and barbeques with galore of drinks around. You are sure to come up with new cocktail recipes to get that edge over others. While you plan for all those parties shouldn’t you also check if your ice maker is working? If you are yet to get that done, go ahead and check that ice maker of yours. If you have already checked and it’s not working, don’t panic. Keep reading to tackle some of the common problems that could repair an ice maker. What is an ice maker? 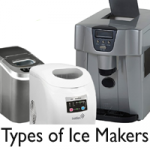 While many of us are familiar with the term ice maker, do we really know what an ice maker is and how it works? Well, ice maker works on the principle of the refrigeration cycle, using a condenser, thermostat and a throttle valve to make ice. Now that we know how it works, let’s see how to fix an ice maker. How to fix Ice Maker? 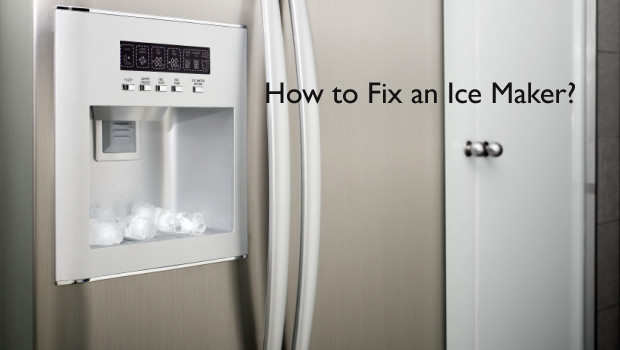 Troubleshooting and repairing an icemaker is a DIY (do-it-yourself) job, with a little bit of guidance. Good news is that ice makers are relatively simple machines and most of them work pretty much the same way. More often than not, you will be able to diagnose and fix the problem yourself, before you shell out for that expensive service call. Most common problems might be a result of one or more issues stated below. We have also included an easy fix for most of them. 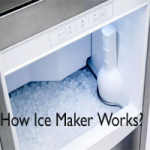 So go through the below sections and see how to repair an Ice Maker. How to fix My ice maker when it won’t make ice? Cause: Clog in the water line. Most often water line, at the back of the fridge or the standalone ice maker might be clogged or frozen. As a result, the water supply is cut off and hence no water to make ice. How to Fix Ice Maker not making Ice problem? : Unplug the refrigerator and shut off the valve behind the fridge. Unscrew the copper line and put it in a bucket. Now try passing water through the tube. If there are obstructions it can be removed this way. Also, the frozen line will defrost. How to repair Ice Maker when it is Unable to eject ice? It’s natural that we might have accidentally pushed up the control arm of the heating element and hence the ice is stuck to the walls of the mould. Fix: Push down the control arm and voila! If the control is down and yet you are not able to eject ice, then the problem might be with your motor or electrical connection. So, check how to fix Ice Maker in another way below. Fix: Seal your electrical points. Unplug the refrigerator and locate the quick release plug inside the freezer. Pour some water over the formed ice and try to remove it manually. Once it’s removed completely, restore power for the refrigerator. Switch off the control arm and then switch on again. Once the solenoid is engaged, mould should fill the water and everything should work fine. If there are still issues, the motor might need a replacement. How to fix an Ice Maker when it is leaking? Cause: It could be due to multiple reasons. We have listed the fix for some common reasons. Check if your refrigerator is at a perfect level. Check if the moulds are leveled. Look for damages in water supply lines. Look for damages in the freezer itself. If there are any visible damages, you need to make that service call to get it fixed. What should I do if there are issues still? If you have tried the above troubleshooting methods and the issue still persists, use the service assistance of your ice maker brand to get it fixed. For more solutions or information, keep visiting the portal, Reviews Ice Maker.